At Backhouse, our winemakers start with premium winegrapes sourced from topnotch growers in California’s premier vineyard regions. After harvest, the wines undergo clean stainless steel fermentation and appropriate aging protocols to deliver fresh, fruit-forward wines for everyday enjoyment. Backhouse white wines are ripe, fruity and quaffable. Backhouse reds feature soft, approachable tannins balanced with a kiss of French and American oak. Backhouse wines originate from select vineyards located in California’s acclaimed Northern Interior, Sacramento Delta and Central Coast winegrowing regions. These ideally situated, cool-climate vineyards foster slow, even ripening of the grapes, enabling us to produce outstanding premium wines with an ideal balance of rich, ripe fruit flavors and crisp acidity. 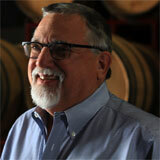 Mark Rasmussenhas made wine at some of California’s leading wineries for over 35 years. In addition to overseeing the Backhouse program, Mark serves as SVP of Winemaking for parent winery O’Neill Vintners & Distillers. Prior to O’Neill, Mark spent 12 years with Golden State Vintners where he was involved in winemaking and production across multiple wine regions and brands. Mark began his winemaking career in 1977 with Pacific Land and Viticulture and later moved to Sebastiani in 1982, where he became Director of Winemaking. In 1986 Mark started his own company, Global Vin and Beverage, where he was instrumental in the launch of both the Vinterra and Viansa wine brands. He holds an undergraduate degree from UC Berkeley and a graduate degree in Food Science/Enology from Fresno State University. 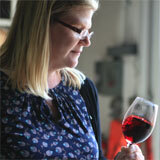 Kryss Speeglehas held winemaking and enologist roles at O’Neill Vintners, Kenwood and Ravenswood. She has also worked for wineries in Napa, Mendocino, Germany and New Zealand. Kryss has served as a past judge for the San Francisco Chronicle and West Coast wine competitions and has taught wine courses at Santa Rosa Junior College and Napa Valley Wine Academy. She holds a Diploma in Wine and Spirits from the WSET and is currently studying for the prestigious Masters of Wine credential. Kryss received a bachelors degree from University of Virginia and a graduate degree in Food Science/Enology from UC Davis. While at Davis Kryss conducted sensory research for Dr. Ann Noble, creator of the Wine Aroma Wheel.